When you're mailing important financial documents or shipping an expensive item to a client, you might want enhanced tracking features or insurance coverage over the standard limit for First Class or Priority Mail shipments. The United States Postal Service offers Certified Mail and Registered Mail as add-on services for such cases. While Certified Mail gives you a record proving your package was dropped off and received, Registered Mail increases your shipment's security and gives you a higher amount of insurance coverage. Both of these add-ons come with additional fees and mailing requirements, and delivery times can vary. Certified Mail is an add-on that documents your shipment's drop off and delivery with an option to see the recipient's signature. Registered Mail is an insurance and security add-on that requires extensive logging of your item as it travels and protects you if it gets lost or damaged. The purpose of Certified Mail is to provide proof that a sender has mailed a letter or package and that the recipient personally accepts it at the destination. The sender can track the item on the USPS website and see electronic notification of its pickup and delivery. Special forms of Certified Mail are available if you want to receive a physical or electronic return receipt showing the receiver's signature upon delivery. Certified Mail is indicated either with a special envelope or a stick-on green label offered through the USPS. Businesses may find this add-on service helpful when mailing important materials that are time-sensitive and confidential such as contracts or financial documents. Whereas Certified Mail only gives you proof of shipment and delivery, Registered Mail provides security and insurance coverage for shipments of high monetary value. While regular shipping insurance only covers damaged or lost items that are $5,000 or less, Registered Mail increases your coverage up to $50,000. This makes it suitable if your business has to ship expensive items such as electronics or jewelry. When you send an item with this service, the USPS keeps logs and signatures of everybody who handles your registered letter and stores the item securely when it's stopped between locations. If you want more security, you can even restrict who can sign for your item. As with Certified Mail, you also get electronic proof you shipped the item and can track it to its delivery. 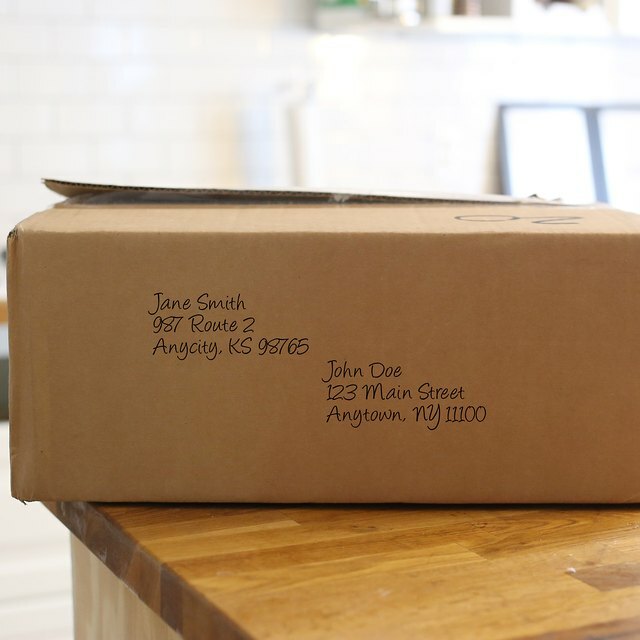 Unlike other shipments where you just need to print a shipping label online, sending an item using either Certified or Registered Mail requires obtaining the required forms and labels and applying them to your shipments. This requires a trip to the post office since the USPS doesn't offer these materials through its website to print out. When sending Registered Mail, you have the additional requirement of handing the package directly to a postal worker. You can drop off Certified Mail shipments in a mailbox unless you want a physical sender's receipt that shows the time you dropped off the item. Using Certified Mail generally does not affect the delivery time of your package or letter. For example, you can usually expect an item mailed First Class or Priority Mail to still arrive within about one-to-three business days depending on the receiver's location. The exception is if nobody is available to sign at delivery, which causes a delay until another delivery attempt or in-person pickup at the post office. In contrast, using Registered Mail can increase your package's delivery time to 10-to-14 days. The longer delivery time is due to the detailed security process with signatures and control logs that need to be completed at each point in transit. Costs for the Certified and Registered Mail services are in addition to regular postal fees. Based on the 2018 USPS rates, the base charge for Certified Mail is $3.45; this rises to $8.55 if you want to restrict delivery or require an adult signature. The fees for Registered Mail are more expensive and are based on the monetary value of the letter or package. As of October 2018, Registered Mail rates start at $11.90 for a letter with no value. A registered letter worth $500 would cost $14.55, while one worth $5,000 would cost $22.55. An additional charge of $5.05 applies if you want to restrict delivery. Stamps.com: What Is Certified Mail?